Tickets on Sale April 12! DES MOINES, IA – Des Moines Performing Arts is thrilled to announce that actor, comedian and writer TOM SEGURA has extended his Take It Down Tour due to overwhelming demand and it includes a stop at the Des Moines Civic Center on Tuesday, October 8th at 7:30 p.m. Tickets to TOM SEGURA will go on sale Friday, April 12, 2019 at 10 a.m. and can be purchased at DMPA.org, the Civic Center Ticket Office, or by phone at 515-246-2300. Tom Segura has quickly become one of Hollywood’s most in-demand and highly regarded talents. He is best known for his three Netflix specials, Disgraceful (2018), Mostly Stories (2016) and Completely Normal (2014). Paste Magazine described him as, “...having a natural and capable storytelling ability, one that lifts his narratives out of average anecdote fare and plants them firmly in hilarious ground.” Additionally, his hit podcast, Your Mom’s House, which he co-hosts with his wife, comedian Christina Pazsitzky, was a finalist for Best Comedy Podcast at the Stitcher Awards and profiled by VICE. Segura’s television credits include “The Late Show with Stephen Colbert,” “Conan,” “Workaholics,” “Happy Endings,” “The Late Late Show,” “Comedy Central Presents: Tom Segura,” “Mash Up” and “How To Be A Grown Up.” He can also be seen in the Paramount feature Instant Family opposite Mark Wahlberg and Rose Byrne. 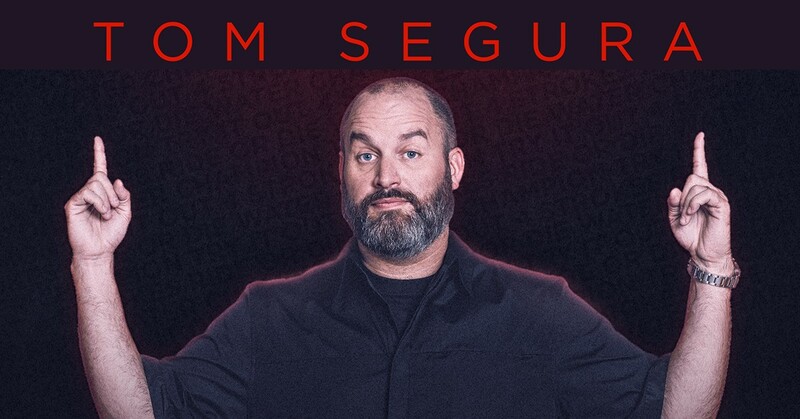 For more information about TOM SEGURA, please visit: tomsegura.com or DMPA.org.